In two small saucepans, simmer your cauliflower and broccoli (one vegetable in one pan, and likewise with the other). 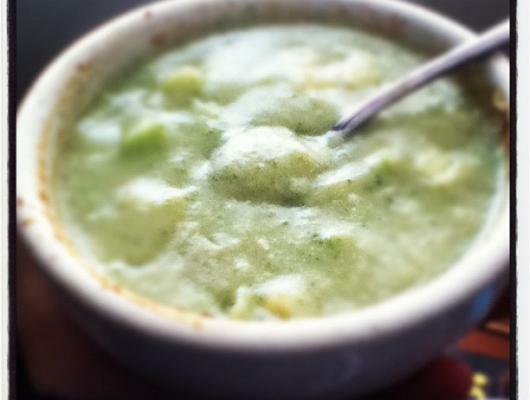 Once the veggies have reached their proper tenderness, drain and transfer all of the cauliflower and half of the broccoli to a blender along with 1/2 cup of water, the Braggs, nooch, seasonings and optional thickener. Add this to the remaining broccoli flouters, along with the other 1/2 cup water and the cubed tofu. 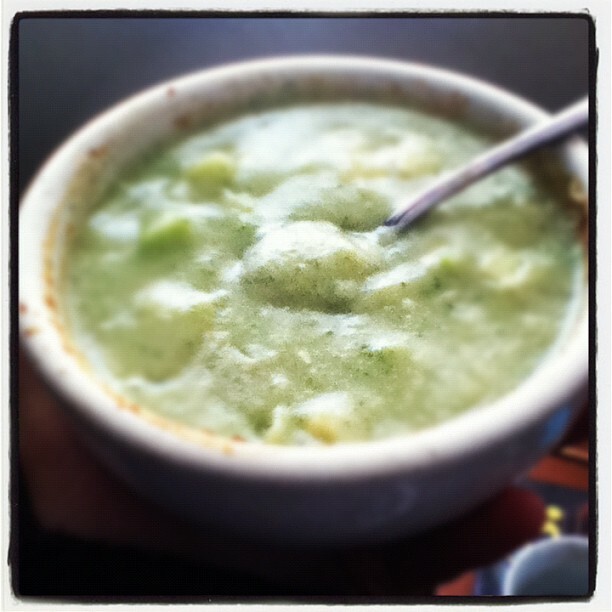 A creamy, cheesy flavoured broccoli soup, with no fat, no cream, no cheese, and is low in calories. Healthy to boot, this soup is sure to please and warm the soul!